Without fail your pool deck will show its age over time. Pool Deck Resurfacing Virginia is here to help you fight back and restore the beauty of your swimming pool decking. You can do everything possible to fight against the elements of nature that are determined to attack your beautiful pool deck. 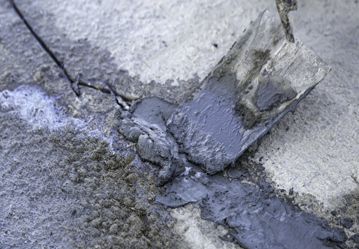 Without fail your pool deck will show its age over time. Pool Deck Resurfacing Virginia is here to help you fight back and restore the beauty of your swimming pool decking. 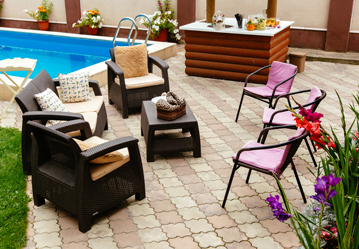 Fixing those unsightly cracks and blemishes around your swimming pool can not only boost the appeal of your backyard entertaining area, it can also prevent more expensive repairs later on. Give us a call today and let’s restore the luster your backyard proudly touted in the past. As you can imagine it is easy to overlook and do nothing about a small crack forming in your pool deck. 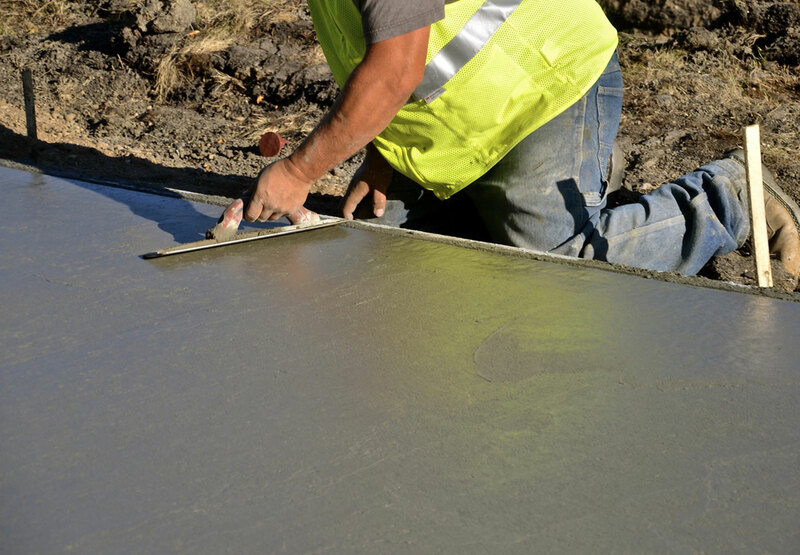 It’s a pain to have some concrete contractor out at your home to fix your decking. 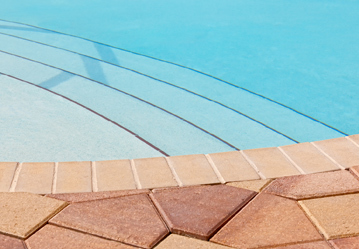 However, small pool deck cracks don’t go away, they grow into big cracks and get more and more costly. A stamped concrete pool deck can make an immediate impression on anyone who sees it. The flexibility offers a seemingly endless amount of options from brick and stone looks to your choice of colors. 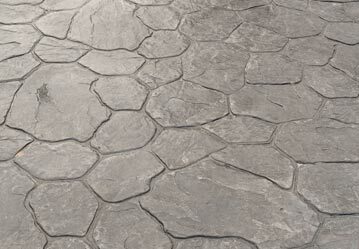 Stamped concrete can allow you to create the exact look and feel you have always wanted in your backyard. Much like a fresh coat of paint inside the house, pool deck refinishing can dramatically improve the look and feel of your swimming pool area. Create a space that you are proud to share with friends and family members for years to come. Call today get a free estimate on pool deck refinishing. Thinking about building a new pool deck for your backyard? Congratulations! You are about to take the first step towards creating the entertaining area of your dreams. Not sure how to start? Give us a call and we can explain your options and the pros and cons of each ensuring you make the right choice. 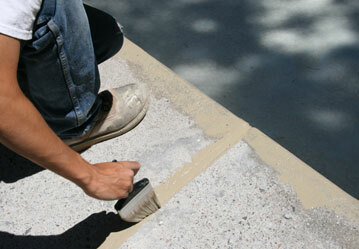 Need help With Pool Deck Resurfacing? Give us a call now! 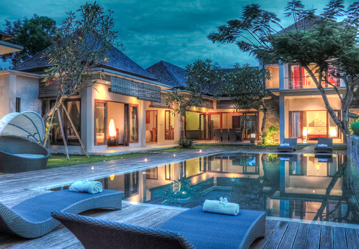 To get that beautiful pool deck you have always dreamed of. 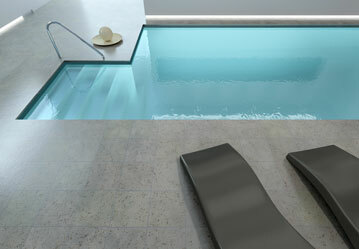 Pool deck pavers are a very popular choice when deciding on a pool deck surface. Choose from a variety of colors, materials, and patterns. Our knowledgeable staff can explain the pros and cons of each surface, from travertine to a more standard paver we can do it all. If you don’t have a Sundek pool deck surrounding your swimming pool, you have undoubtedly seen this as it has been a popular choice for residential pool decks for decades. The originator of classic texture splatter knockdown finish. It’s a great option with a lot of flexibility. Similar to Sundek, Kool deck often spelled cool deck has been a very popular choice for pool decking surfaces since it’s invention in the early 60s. If you are in need of cool deck repair, look no further we are the top pool deck resurfacing company in Northern Virginia and we would love to hear about your project. Pool Deck Resurfacing VA Copyright © 2018. All Rights Reserved.